Link Global Management can provide a full range of payroll services in UK through our sister company Walker Smith Global. The individual will be engaged on our payroll and income is paid in the form of salary, allowances and expenses, the proportion of each part depending on individual circumstances. Walker Smith deducts tax and social security at source on a PAYE basis, and payments are made to the relevant authorities on the employee's behalf. The taxable amount may be reduced by offsetting certain business expenses. There are different tax rates and bands according to earnings level and marital/family status. Walker Smith will discuss your personal circumstances with you and help you to minimise your tax and social security liabilities, within the boundaries of British legislation. Income is managed tax efficiently, not just in UK but also in any other country where there may be a liability. A tax return is filed each year in UK with advice and assistance from Walker Smith who will also provide help with filing tax returns elsewhere, if required. Nonresidents are subject to tax on their UK-source income, such as compensation attributable to UK workdays and certain UK-source investment income. Under the SRT, any individual who has no prior connection with the UK and has not been UK resident in the preceding three UK tax years is generally regarded as conclusively not resident if he or she spends no more than 45 days in the UK in any UK tax year. Other tests may also apply under which a taxpayer is regarded as conclusively nonresident, the most common of which is the test applying to an individual who leaves the UK for full-time work abroad (FTWA). This term is now defined under the SRT and is potentially very different from the previous practice. UK-resident taxpayers are normally entitled to an annual tax-free personal allowance. The amount is £.10,600 for the 2015-16 tax year. The basic rate of tax for the 2015-16 tax year is 20%. Taxable income exceeding £.32,865 and up to £.150,000 is taxed at a rate of 40%. Taxable income over £.150,000 is taxed at a rate of 45%. 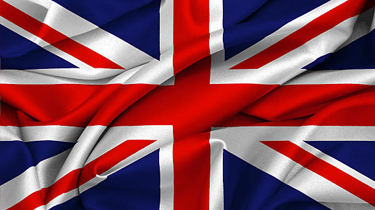 Thinking of contracting in UK?